Police equipment is highly calibrated and certified equipment that needs to stand up in a court of law on a single event, IVMS is simply not made for that. GPS (the heart of any IVMS system) can be affected by a number natural factors in the environment, for more information refer to https://en.wikipedia.org/wiki/Global_Positioning_System#Accuracy_enhancement_and_surveying . then there is at least some chance that the 89 was an error (known as a “GPS jump”, or as a temporary loss of signal), as very few drivers would within 20 seconds accelerate from 62km/h to 89km/h and then back to 61 km/h. 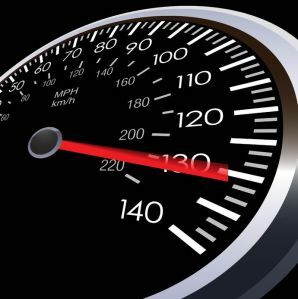 The benefit of the doubt can be removed in this case, as the driver has shown a speed in excess of 80km/h for 40 seconds – it can no longer be attributed to a short term, external interference. Even if the IVMS unit was accurate throughout the readings obtained in the first instance, then consideration needs to be given to the fact that temporary road conditions (such as passing a long truck) may have necessitated the driver to accelerate to a speed well over the speed limit. This aspect has been an ongoing point of dispute in courts and our advice to our IVMS customers would be to avoid the point by always allowing for reason and to look at a trend, rather than a single occurrence. DigiCore Australia has the ability to provide our customers with long term trend data: we can go back for several years and show how, for instance, seat belt usage at a particular site has changed, or how a speed limit enforcement program has succeeded – contact us for more information. This entry was posted in Press Releases and tagged DigiCore Australia, IVMS, IVMS Reports, IVMS Speed Data. Bookmark the permalink.